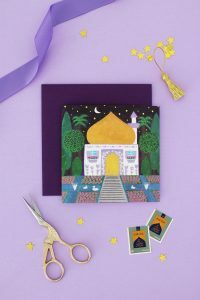 Eid al Adha Paper Pouches Calendar – Hello Holy Days! 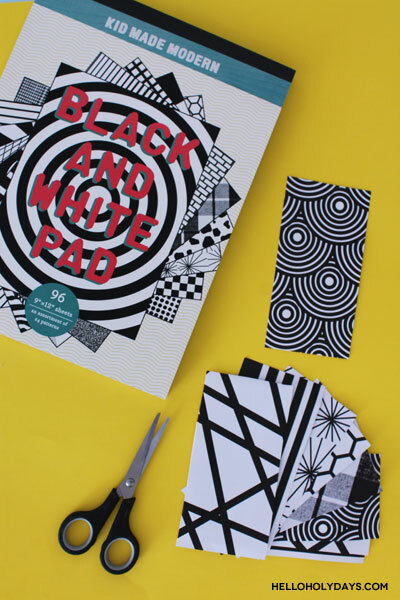 When I first came across Kid Made Modern’s Black and White Paper Pad I immediately thought how great this product would be for Eid al Adha crafting. Black and white is very representative of the stories and traditions of Eid al Adha. Read more on my thoughts about holiday colors here. So! 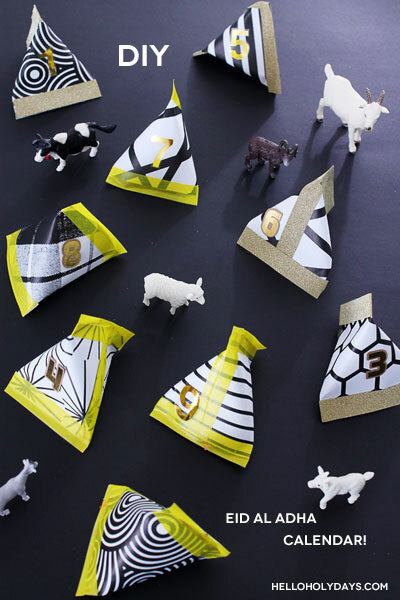 I created these cute little triangular prism pouches for an easy Eid al Adha countdown calendar. Mine are filled with confetti but you can fill yours with whatever you like. A slip of paper with an act of kindness to do for the day. Or perhaps a small toy or a snack. Each pouch is numbered 1-9 to count down the holy days leading up to Eid al Adha and then on the 10th day of course, it’s Eid! Love it as much as I do? Here’s how to make it! 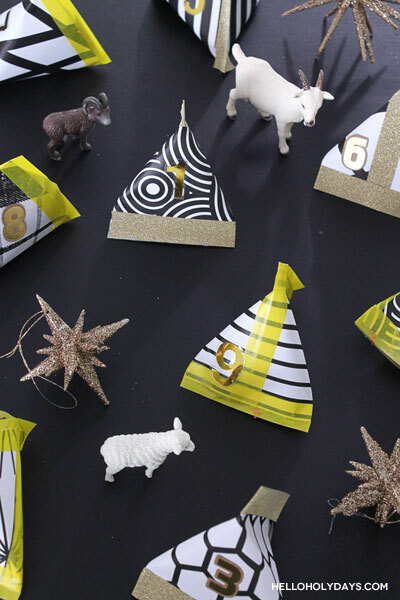 Psst – this craft can also do double duty for New Year’s Eve. 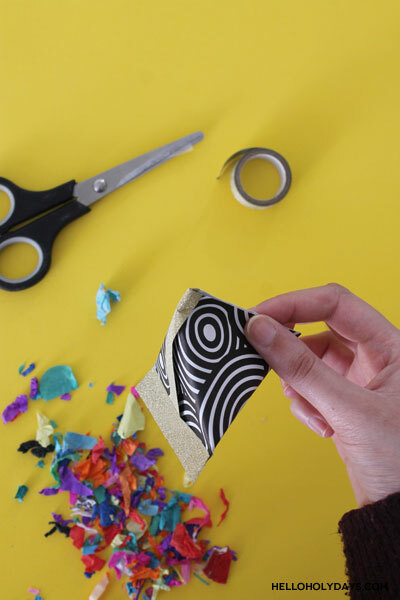 Use Kid Made Modern’s black and white paper pad to make these confetti pouches for ringing in the New Year! 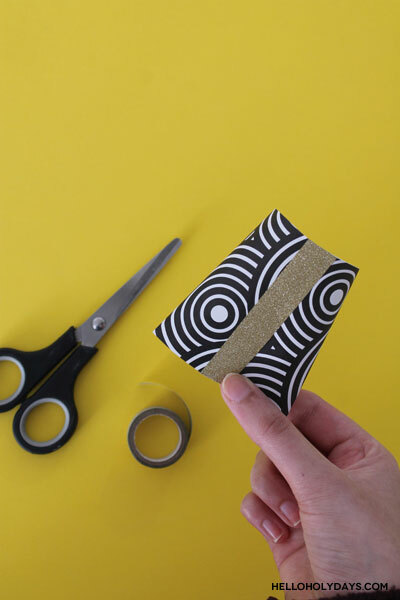 Use different patterns from the black and white paper pad to cut rectangular strips. You can make these strips any size you like as long as they’re twice as wide as they are tall. I cut my strips to be 3″ tall and 6″ wide. This resulted in adorable mini pouches about 3″ in size. 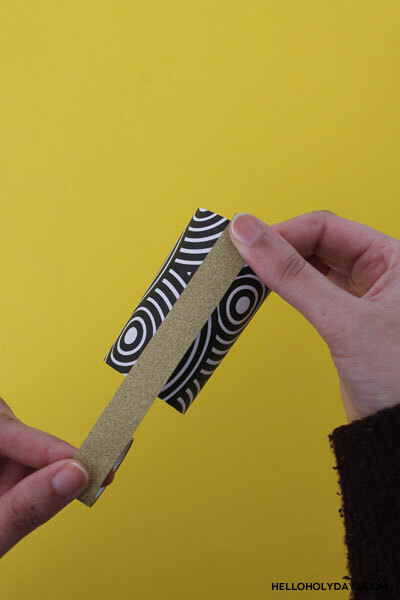 Once you’ve cut 9 strips, roll up each strip and secure it with washi tape. Note: glittery washi tape is typically not as strong as regular washi tape. Sometimes even regular washi tape can start coming apart after a few hours. In this case, you might find that using a glue gun or white glue is a better option for you for making the pouches. You can always add decorative touches with washi tape later. Next, press down one side of the tube and secure with tape or glue (whichever you’re using). Fill the pouch with confetti or other filling of your choice. Press down this side of the tube perpendicular to the bottom and secure with tape or glue so you have a triangular pouch. Finish by numbering the pouches from 1-9. 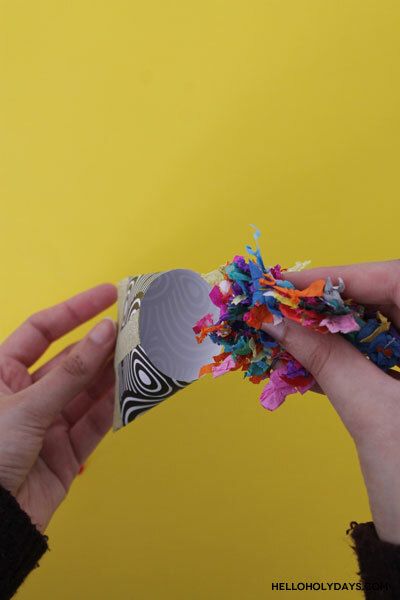 In each of the days leading up to Eid al Adha, pop open a pouch of confetti! These are also great for handing out on the day of Eid al Adha to a group of children as they can be made fairly quickly. Special thanks to Kid Made Modern for sponsoring this post!